Successfully Added Dual - Stream 4 Channel DVR Security System (H.264, free 500GB HDD) to your Shopping Cart. 4 Channel DVR security system from Chinavasion featuring cutting edge dual stream technology which allows you to monitor your home or business, record high resolution videos and be able to smoothly view them over internet. 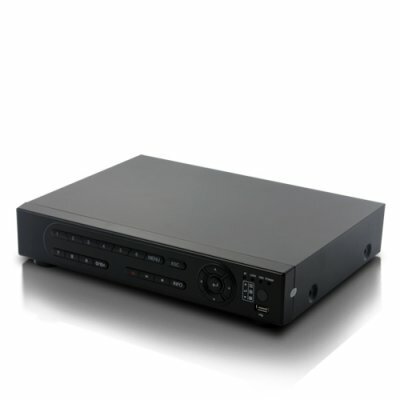 Ideal for small business, office, factory or even your executive home, this DVR lets you have up to 4 security cameras (PAL or NTSC) setup around your premises, and comfortably take control of them from your office. The dual stream function allows two users to view the video simultaneously, one in front of the monitor, and one over the internet. In addition, this DVR records video continuously even when you are viewing videos in playback mode, keeping a close eye on your properties anytime, day and night. With support for DHCP and PPPOE, it is possible to connect the DVR Security System to your LAN or even the Internet. Whether you are just out having lunch at McDonalds or flying half way around the world to attend a business meeting, you can always watch who is ruining your garden or which of your employee has been lazy, as well as command your security system to capture still images and videos as solid evidence for further legal actions. A great wholesale price makes this 4 Channel DVR Security System perfect for the resale market, OEM market, or personal/company use. Available with 12 month Satisfaction Guarantee, and back by our award-winning after sale services, Order yours right now, from the leading electronics wholesaler - Chinavasion.